Everyone has a story about what kind of violent school scene (s)he has seen or possibly became a victim of negative treatment himself. These memories can accompany people also as an adult. Let’s do something about nightmares similarly to the ISKON program. Let’s start at the beginning: what is school violence? According to the shortest definition it is aggression, an intention to hurt or offend others, an act which is intended to cause psychological or physical pain on purpose. If it happens inside the school we can talk about school violence. Opinions vary whether only concrete physical insult may be listed here or even a whispered offence, since the definition mentions malicious intent which doesn’t necessarily has to have physical consequence. To make an agreement about where exactly this boundary lies on one hand is the responsibility of psychology on the other hand the legislature. Earlier it was very easy, at least seemed like that then, since if somebody didn’t behave according to the expectations, the teacher slapped him. Then he received the pair of the slap from his parents– if in the family this was the practice-, as there wasn’t bigger shame than the child behaving badly. However nowadays it is a more and more common practice that the teacher cannot raise a hand to the children, but the need of scolding also questioned as it can harm the child and they have freedom of speech anyway. Some students take an advantage of it during lessons as well. On the other hand many people forget that the others have the right, too, to acquire the knowledge the teacher can pass them. It is hard to tell that in this situation what is appropriate as every right is equally important. However it seems to me a bit that the students get too much freedom, while the educators get too much barrier. The roles seem like switching slowly which probably won’t have good effects on the growing generation. The above mention page, the ISKON has born to avoid this welter, on the page educators who are searching for solution and every other interested people can read professional writings. However I found the “Best practices” menu the most useful, where we can actually read concrete practices about how to maintain discipline and order. There is another program, where students are acquainted with the biggest dangers of life already in the gate of adulthood. This is DADA program, which is pieced together of the words Smoking, Alcohol, Drugs and AIDS (the acronym is created in Hungarian), where youngsters are informed about these problems and they are getting prepared to a responsible life. These initiatives are trying to bridge the gap which was in the schools till now, since we have learnt to write, read and count well, we knew the population of every country by heart and we knew all the dates of battles, but the preparation for the real life was missing. The subject named the bases of housekeeping is ceased and noting came into its place. However school’s role is not only passing the lexical knowledge but to give ethical guidelines together with teaching about rights and duties. 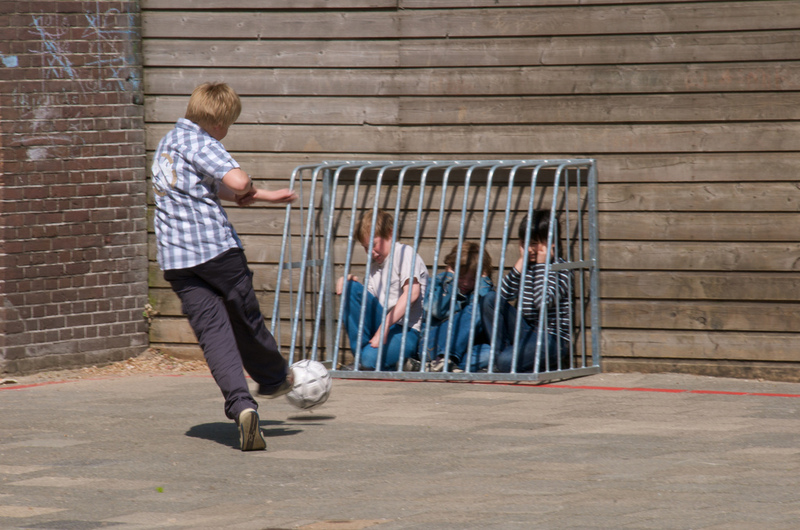 The school taking an active role in the socialization of students would be more important. It would be advantageous if a system could form which is a reduced copy of the adult life. Students should see that good and bad has its own consequence, too. Just to think in concrete things: the teacher cannot hurt the student because of statutory regulations, this doesn’t have much to improve. However it’s worth to think about how can happen that a student raises hand to a teacher – this is a very new problem which cries out for a solution. However a long-standing, but still unsolved problem is handling conflicts between students. Its biggest problem is that between the students practically a miniature society forms with its own hierarchy, and if the abused ask for help from the outside (s)he becomes an outsider. Because of it neither the parents, neither the teachers usually don’t know about the problems of the child since (s)he is afraid to tell them because of the fear of the mates. So it is very important the youngsters to know that there are people to turn, and it’s not right in any case to bear abuses of their mates. One of the most important aspects also in this topic is the proper and all-inclusive communication.